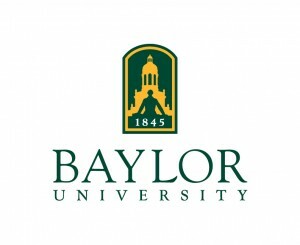 WACO, Texas (Jan. 15, 2015) – The Fatherhood Research and Practice Network (FRPN), a collaboration between Temple University and the Center for Policy Research (CPR) in Denver has awarded $100,000 to Baylor University’s Program on Prosocial Behavior, an arm of the Institute for Studies of Religion (ISR), to evaluate the TYRO Dads program operated by The RIDGE Project, Inc., Ohio. 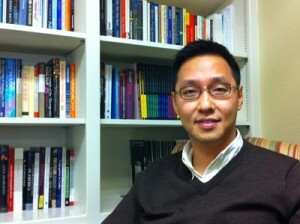 The three-wave panel study will be led by Young-Il Kim, Ph.D., research assistant professor at ISR. The study involves a two-group randomized controlled trial (RCT) with 400 low-income fathers drawn from 11 research sites in nine Ohio locations (Canton, Cincinnati, Cleveland, Columbus, Findlay, Lima, McClure, Toledo and Wooster*). The study’s experimental group will attend a 20-hour program over a five-week period, while its control group will be waitlisted until both groups complete the third-wave survey. Researchers will evaluate the effectiveness of the program by analyzing changes in the quantity and quality of father-child relationships over time between these two groups. “I feel honored to be selected for this award. I believe this research will not only make a significant contribution to the fatherhood research field, but also help fathers who have difficulty providing care for their children due to economic hardship,” Kim said. The FRPN is funded through a five-year grant from the U.S. Department of Health and Human Services’ Office of Planning, Research and Evaluation. “The FRPN is serving an important and strategic role by providing researchers with opportunities to evaluate fatherhood programs and communicate information that leads to effective fatherhood practice,” said Byron Johnson, Ph.D., Distinguished Professor of the Social Sciences and co-director of ISR. *The average poverty rate of these locations is higher than those of the state of Ohio and the United States.